Brandi is a Director in CrossCountry’s Accounting Advisory practice. She is a senior accounting and finance professional with experience in external financial reporting and SEC reporting, forensic accounting and litigation, and audit with multi-national publicly traded and private corporations. She has worked for and with publicly traded and private companies in the media, real estate, energy, manufacturing, biotech, retail, financial services and wireless and broadcast communication industries. Prior to joining CrossCountry, Brandi was the Director and International Controller for Avintiv where she provided guidance on US GAAP, while managing the monthly close and external audit review processes. She also worked at American Tower as a Senior Manager where she developed, implemented and monitored accounting policies, business processes and SOX controls and requirements worldwide. Brandi began her career at Arthur Andersen where she spent four years auditing publicly traded and private companies. 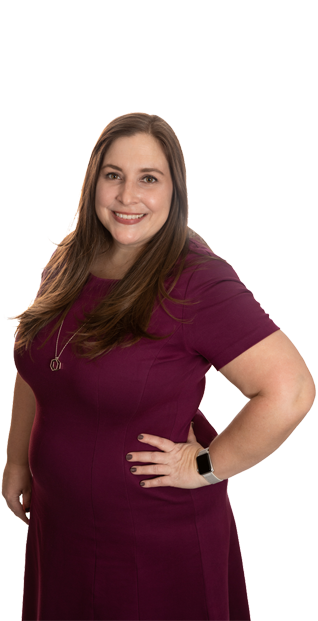 Brandi is Certified in Financial Forensics (CFF) and a Certified Public Accountant (CPA) who graduated from Northeastern University with a bachelor’s in Business Administration, Accounting and Marketing.